This bed bug heater is an effective method for removing bed bugs from smaller household items. This bed bug heater is a great strategy for removing a large amount of bed bug from a bunch of different household items such as bedding and storage boxes. This bed bug heater is incredibly large and is capable of fitting entire pieces of furniture like couches and bed frames. Years ago, if you had a severe case of bed bugs you either had to throw away the furniture–or hire a professional exterminator and pay a fortune. Luckily, commercial grade treatment for bed bugs is available in the consumer marketplace for just about anyone. In comparison to pesticides bed, bug heaters are capable of killing off all the bugs in the furniture without the need for harsh chemicals. Also, over time bed bugs have become resistant to the common pesticides used to kill them, so that has required experts to become more creative. Bed bug heaters raise the temperature of the furniture, and as a result, it kills off any bugs in it. In this article, we are reviewing the best bed bug heaters on the market. What Is a Bed Bug Heater? Why Do the Heaters Kill Bed Bugs? This bed bug heater kills 100% of bed bugs on any object that you put into the sealable bag. The bag kills the bugs regardless of their stage of life so that means you can kill the eggs and adults once they are heated. The ZappBug heater does not use any insecticides and is completely non-toxic and safe to use inside the home. This heater runs on 4 AAA batteries and can fit the equivalent of a large suitcase or 2 standard size storage boxes. Set up and removal using this heater is also very easy because you load the items into the bag, seal it up, and turn it on. Come back in a little while, and your article will be free of bed bugs. This product heats up around 120 F to 155 F and shuts off automatically when the heat cycle is over. It takes approximately four to five hours to kill the bed bugs off a full load completely. This is a larger version of the original ZappBug Heater that is capable of taking on large tasks and more significant items. This is an effective method of killing off 100% of your bed bug issue regardless of their position in the life cycle. “The Oven” is also completely non-toxic and does not use any pesticides to kill the bed bugs. 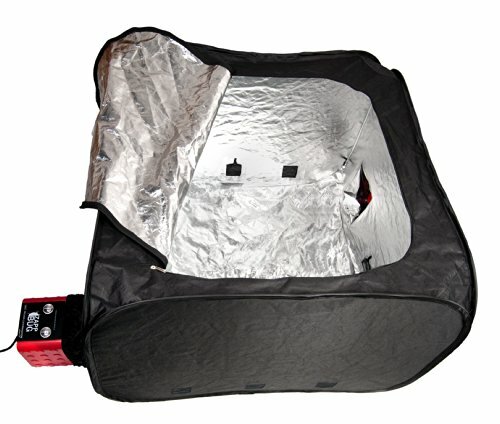 The bag heats up to 155 F and takes approximately four to five hours to kill off all the bed bugs depending on the size of your items. Due to the size of this heater, it requires two different circuits to run the unit. One circuit powers the 1500-watt heater and the other is for the extension cord that runs from the bag. Set up is simple and straightforward–all you have to do is load up the heater and let it do its thing. This is the bed bug removal strategy for the large-scale issues. Similar to the previous products this bed bug killer removes 100% of your bed issue and is not affected by the life stage of the bed bugs. It kills eggs, nymphs, and adults. The ZappBug Room is completely non-toxic, safe around pets, and pesticide free. The major difference with this bed bug bag is its size. This product is capable of fitting an entire room inside the bag, so it’s great for removing bed bugs from furniture like couches, beds, and chairs. 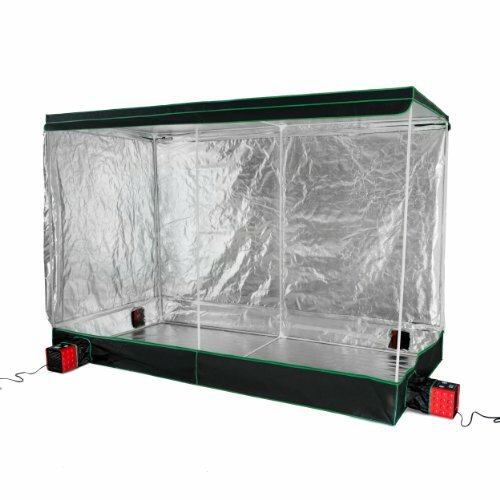 This is the largest bed bug treatment chamber available on the market and it measures in at 111” L x 80” W x 57.5” H. This chamber contains four 120-volt power systems and heats to 1500 watts. The chamber comes with a portable extension cord and timer that shuts the unit off when it reaches the desired temperature. Attached to the chamber is also a wireless digital thermometer that tells you the internal temperature, so you do not waste energy. 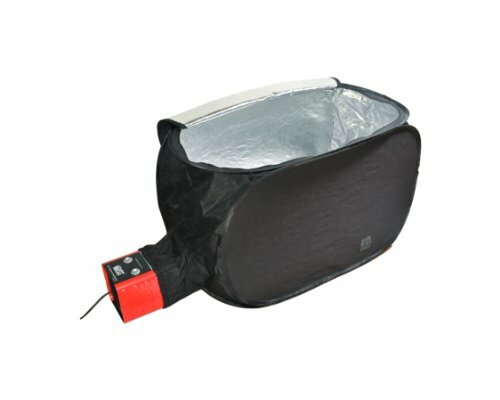 A bed bug heater is an insulated bag that heats up to an optimal temperature to kill bed bugs. Most of these look like a large insulated lunch box. You put whatever possessions you believe have bed bugs, and the box heats up to the desired temperature to kill the bed bugs, nymphs, and eggs. These heaters do not use any harmful chemicals, insecticides, or toxic materials to do this–only heat. Often if you buy clothing or some form of fabric online from out of the country–you may be opening yourself up to a potential bed bug issue. By heating the objects that contain bed bugs, the temperature becomes too extreme for the bed bugs to survive–as a result, they die. This has come about mainly because a lot of bed bugs have become resistant or completely immune to insecticides. This type of technology used to only be available in large-scale commercial operations, but now you can own one for your home if the problem becomes serious enough. So, you might be thinking, “when would a problem become serious enough to need one of these.” We’re going to give you a few examples of how you could encounter a serious enough bed bug outbreak. In your home on a regular occasion–the chances of you running into a serious bed bug problem are slim, but if you travel out of the country your luggage, clothing, or pillow could easily become infected with bed bugs. If you purchase a bed bug heater, it is a good standard practice to place all of your travel items in the heater when you get back to ensure you did not bring anything back with you. Often if you buy clothing or some form of fabric online from out of the country–you may be opening yourself up to a potential bed bug issue. If you own a bed bug heater, it is a good idea to heat your purchase in the heater when it gets to your home to make sure it’s not bringing any unwanted pests into your home. When you are deciding on the right heater for your situation, there are a few important factors to consider. We are going to cover these briefly in this section. If you checked out the reviews you know that bed bug heaters come in a variety of sizes. Some of these sizes can be pretty extreme to fit entire pieces of furniture, so you need to know what size heater you need for the job before making a purchase. You do not want to get stuck with something unnecessary unless you need it. Typically the standard to kill bed bugs is between 110-130 degrees Fahrenheit so you want to make sure that the heater you are buying can reach that temperature. At the same time, you want to take notice of the energy consumption and voltage that the heater is putting out. Some heaters require multiple outlets or even hardwiring if they use up a lot of electricity. The amount of power your heater needs to operate properly is an important thing to pay attention to when making the purchase.